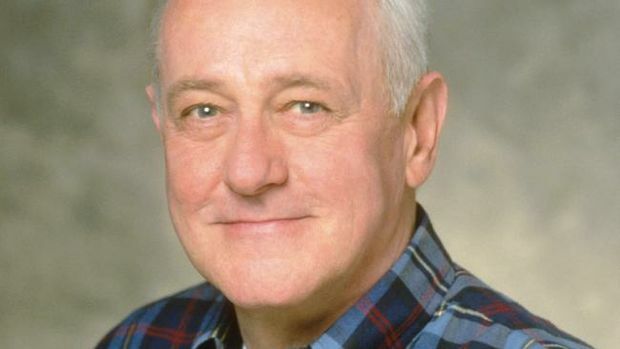 Catholic News World : #BreakingNews Catholic Actor John Mahoney of Frasier Dies at age 77 - RIP “I’ve always prayed to the Holy Ghost for wisdom..."
#BreakingNews Catholic Actor John Mahoney of Frasier Dies at age 77 - RIP “I’ve always prayed to the Holy Ghost for wisdom..."
John Mahoney (June 20, 1940 – February 4, 2018) was an English-American stage, film, voice and television actor. He was born in Bispham, Blackpool, Lancashire, England, Mahoney started his career on the stage in 1977 and moved into film in 1980. He was best known for playing the father of Frasier as Martin Crane in the American sitcom "Frasier", from NBC during the period of 1993 to 2004. He was the seventh of eight children in the family. His Irish father, Reg, was a baker and his mother, Margaret, was a housewife. John received citizenship in 1959. He lived in Macomb, Illinois, and taught English at Western Illinois University. Mahoney took acting classes at St. Nicholas Theatre. He acted in films such as, Moonstruck, Eight Men Out, Say Anything..., In the Line of Fire, Reality Bites, and The American President. Mahoney received two Emmy nominations and two Golden Globe nominations for this role. Mahoney also appeared as a priest in Becker, which starred Ted Danson. Mahoney was godfather to Frasier co-star Jane Leeves' son Finn. Mahoney died on February 4, 2018 at the age of 77 while in hospice care in Chicago, after an illness. While he can’t put an exact date on it, John believes his mind began to change when his heart did, around the time he had what he describes as an “epiphany” in a Roman Catholic church in downtown Chicago around 1975. “I was in the Loop, and I went into St. Peter’s and went to Mass, and it was just about the most emotional thing that ever happened to me. I don’t know where it came from, I just had a little breakdown of some sort, and after that, made a conscious effort to be a better person, to be a part of the world, and to try to revolve around everyone else in the world instead of expecting them to revolve around me.